We strive to create a website that is user friendly and optimized for viewing experience on all platforms including, phones, laptops and tablets. Our websites are all designed and created to detect the visitors screen size and orientation and change the layout accordingly to the right pixels. We aim to customize the title tags, meta description, URL’s and much more. For the best viewing on all devices we implement stategic search phases on pages for higher ranking on all search engines. Your website will be listed to all search engines for the best results. We coach and teach all ages the fundementals of computer online security, social media awareness and analytics. Our goal is to inspire students of all ages to embrace technology – not just consume technology. Online safety and security is of the upmost importance these days. We are open and honest and strive to help you with your IT requirements. 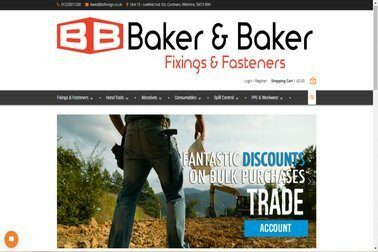 Website, coaching or general help we will charge a fair price for our services or your money back! In our day and age, when around 70% of people browse the internet via mobile devices of various sizes, it’s almost incomprehensible to create a website that would not be responsive. Its actually not possible to have an online presence without a functioning website. Having a social presence is great, however customers then expect to see a professional website for more details about your business. Internet security is a branch of the computer security specifically related to the internet, often involving internet browser security but also network security on a more general level, as it applies to other applications or operating systems as a whole. Fill out the contract of agreement which will be sent over via email and print it out sign it and scan then send it back to us. Please see some of our most outstanding work which is always being updated! 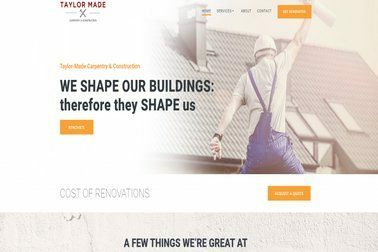 Building industry website with over 5000 products ecommerce website. 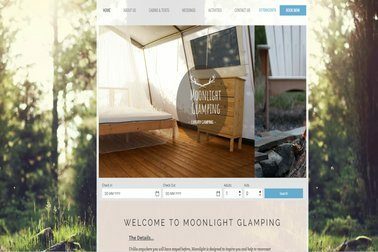 Glamorous camping website designed and created for pre booking purposes. It is so supporting and comforting to know that computer support is avalible to us when we need it. The team are always very helpful, respectable and work to ensure any ICT issues are dealt with promptly. This is imperative in a school enviroment where computers are a daily requirement for all teachers and students. Swarm ICT are amazing and very prompt. Olly is lovely with the children and helps to teach them slowly at their own pace. The children are always attentive with him and they are always asking to have more lessons. It’s unusual for IT lessons be so well received, so much so my parents are now looking to book some for themselves. Thanks to Swarm ICT and there amazing work to help with our web development project and all the extra work they put in for all our constant asks. They provided us with an up to date product list of what we have in stock and when items sell so we can ensure our customers dont waist a journey!